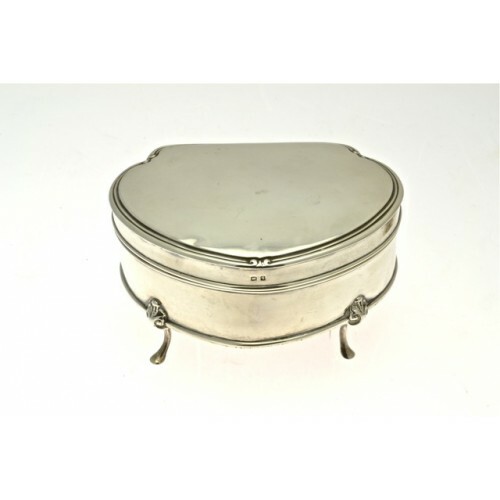 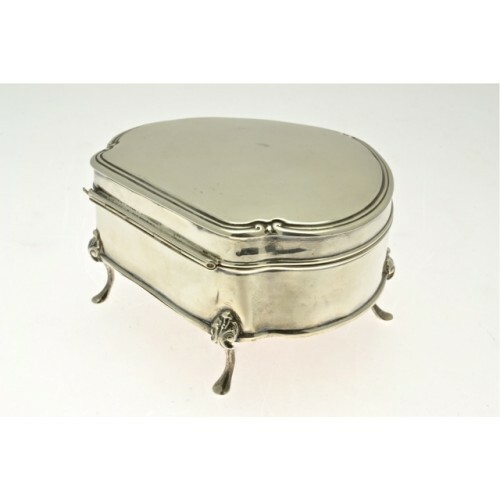 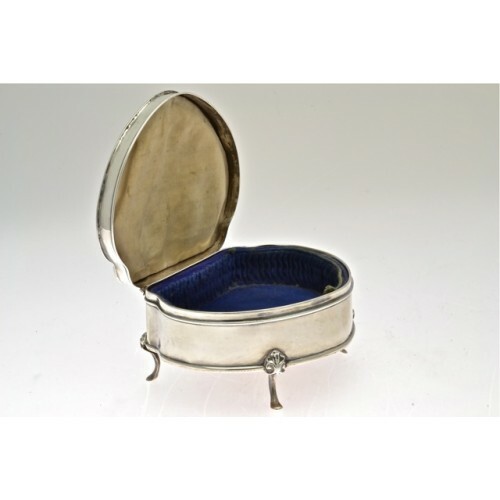 Antique silver jewel box, four legged hoof feet with scroll knuckles, curved triangular in shape with a simple ridge and scroll edge. 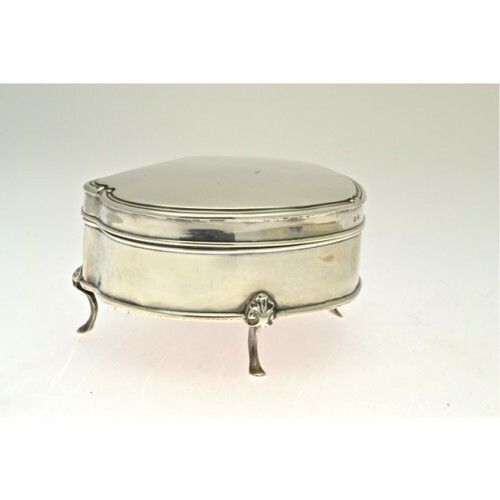 Birmingham hallmarked, dated 1915. 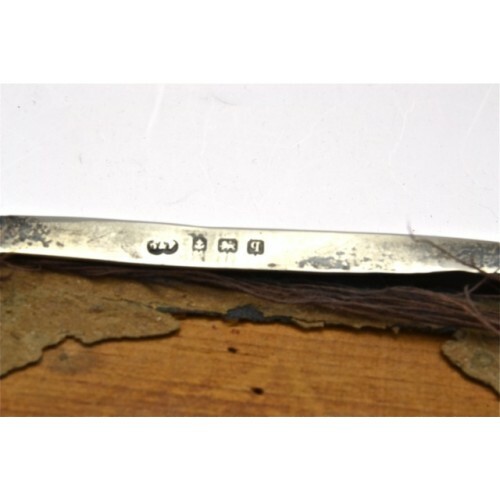 Measuring 11.5cm in length, 9.5cm in width and 6cm in height.